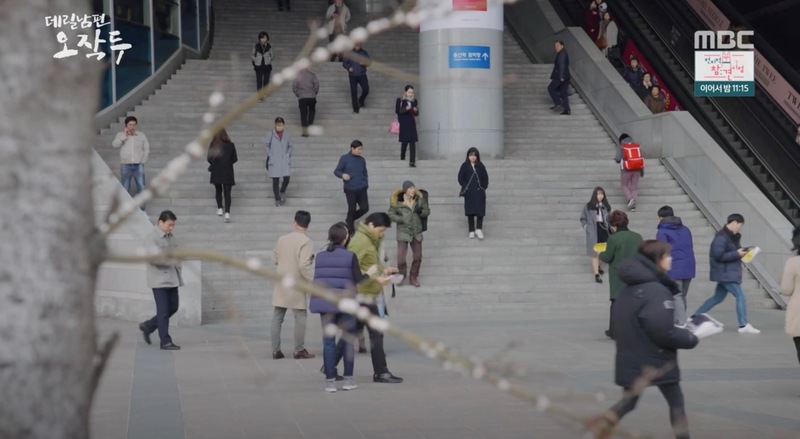 Teacher Goo (Ahn Kil-sang and Mountain God/Wizard Park (Kim Min-kyu) wait at this station for their train back to Gyeryong in episode 14 of Mama Fairy and the Woodcutter/Gyeryong Fairy Tale/Tale of Fairy (계룡선녀전) (tvN, 2018). 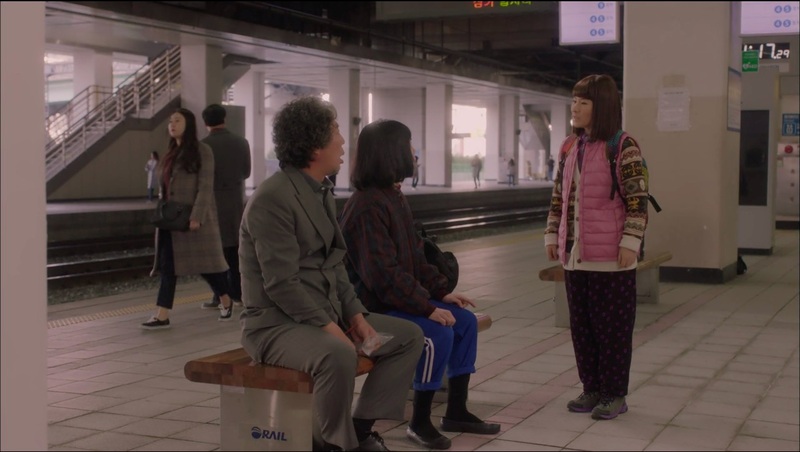 Fairy Oh (Hwang Young-hee) is nowhere to be seen, and Teacher Goo tells Wizard Park for upsetting her. 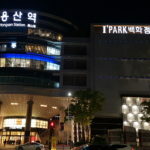 Later, Fairy Oh turns up with a new hairstyle, and Wizard Park finally owns up to his feelings for her. 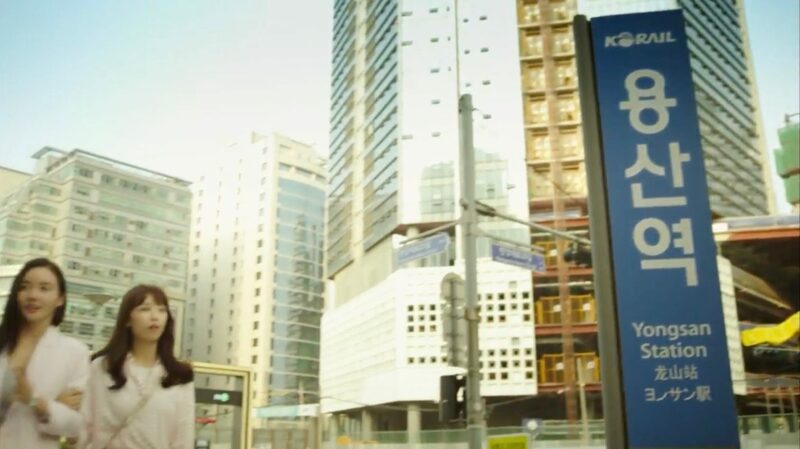 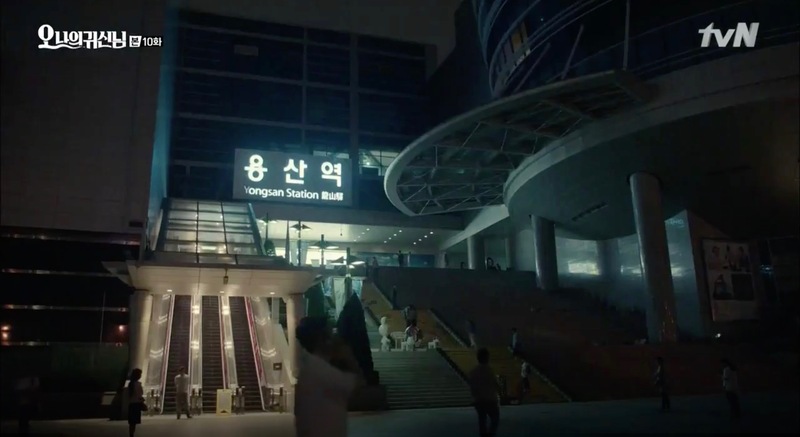 Oh Jak-doo (Kim Kang-woo) arrives in Seoul at this station in episode 2 of My Husband Oh Jak-doo (데릴남편 오작두) (MBC, 2018). 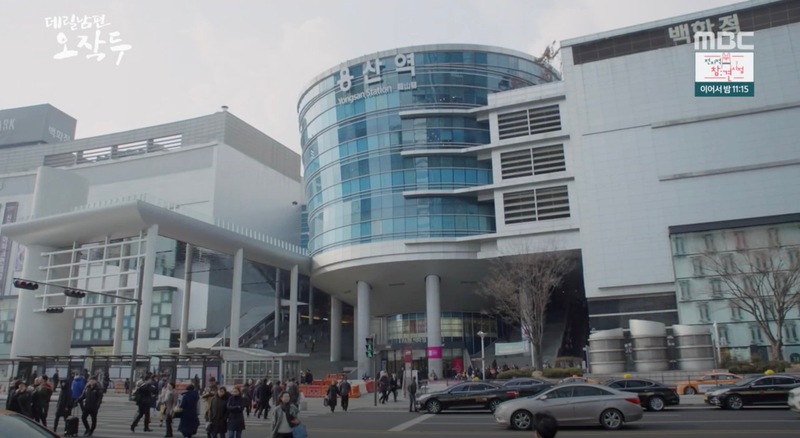 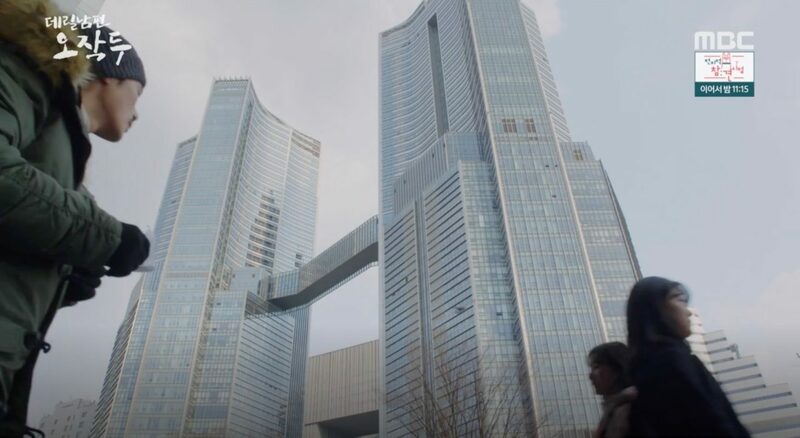 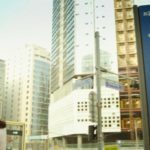 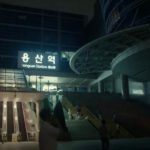 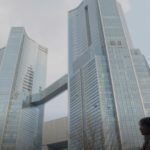 This is where Park Ha-na (Park Ha-sun) and her colleague Hwang Jin-yi (Hwang Woo Seul Hye) head to in episode 4 of Drinking Solo (혼술남녀) (tvN, 2016). 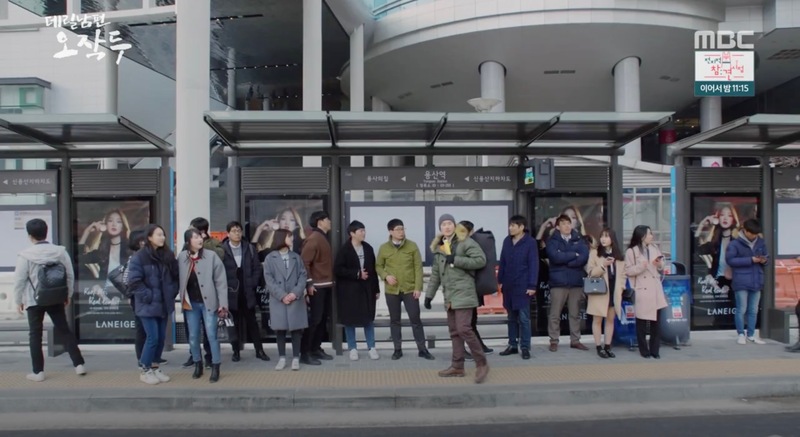 Ha-na finally can’t get on the train because she — send on a mission by her boss to get his briefcase that he had left in a cafe at the station — finally misses the train by a couple of seconds. 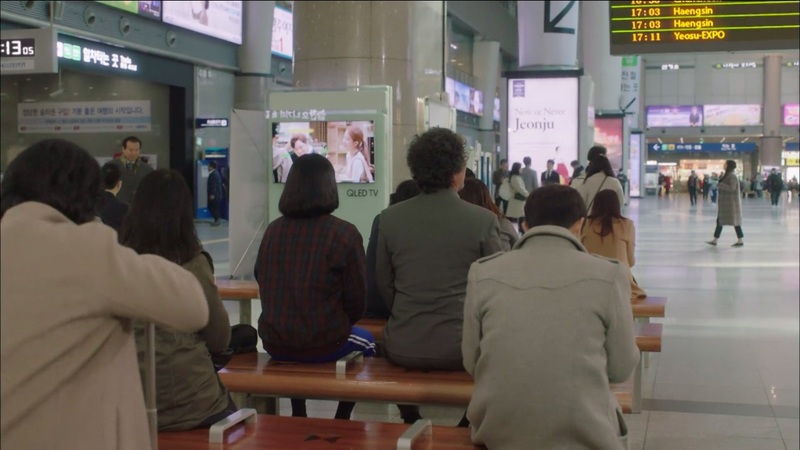 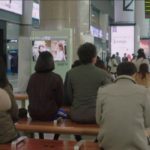 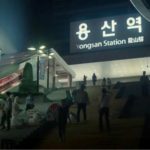 This station appears in a interlude right after Kang Sun-woo (Jo Jung-seok) has told his ex-crush that he has somebody he likes in episode 10 of Oh My Ghostess/Oh My Ghost (오 나의 귀신님) (tvN, 2015). 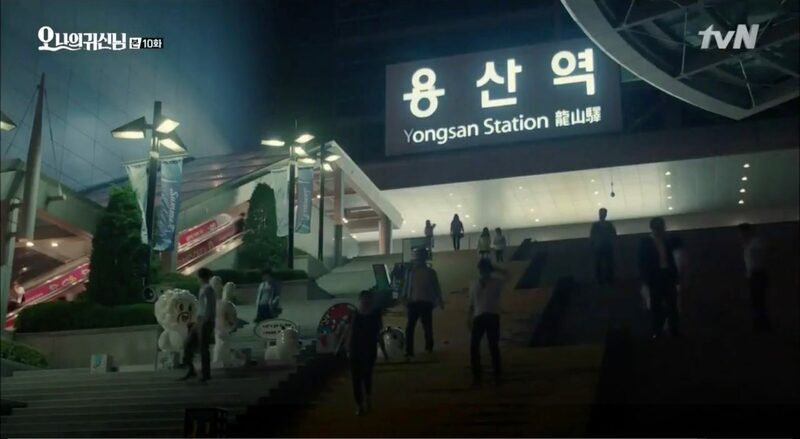 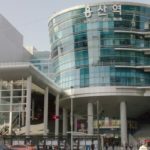 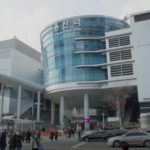 Yongsan Station [용산역] is an important railway station in Seoul. 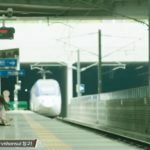 It is served by Seoul Subway Line 1 and the Jungang Line as well as high-speed and long-distance trains. 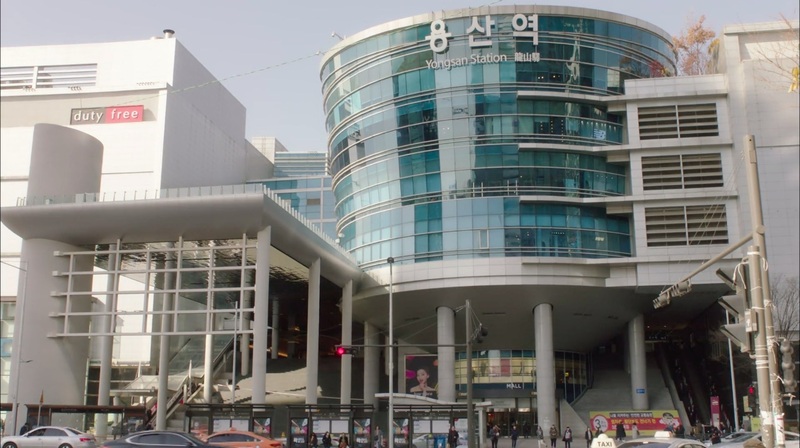 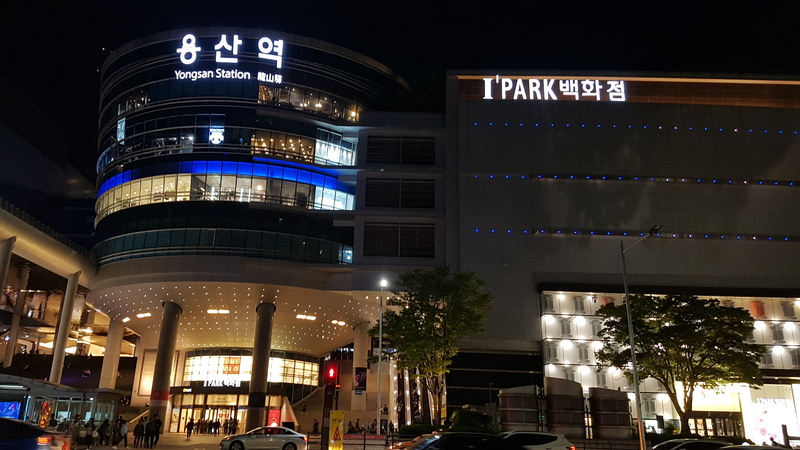 The station is located in Seoul’s neighborhood Hangangno-dong [한강로동] in the Yongsan District [Yongsan-gu/용산구].